Seeding a lawn is preferable to laying sod for many reasons. You have more types of grass to choose from, seeding is much cheaper and seeded lawns tend to put down stronger roots than sodded ones. And, most importantly, seeding a lawn isn't as hard as it sounds. If you apply grass seed correctly and properly maintain it, it can be just as easy, if not easier, than laying a sod lawn. Clear the planting area. Remove any debris or sparse tufts of grass, weeds or any other plants (and their root systems from the area). Prepare the planting area. Use a rototiller to till the soil to a depth of 6 inches. Remove any rocks, roots or other debris that you encounter along the way. Spread 2 inches of aged compost over the soil. Then rototill the planting area again, working at a 90-degree angle to the direction you worked in the first time. Finally, smooth the soil with a rake. Apply the grass seed. Every bag of commercial grass seed must state the exact variety or varieties of grass in the bag and the application rates for the seed, usually per 100 yards. Use this listed application rate to determine how much grass seed to apply to your lawn. If you are using a seed broadcaster, calibrate the machine to spread the seed at half of the listed application rate and pass over the lawn twice. If you are hand-broadcasting the seed, mark off roughly 100 square yards of lawn and then set aside the amount of seed to be broadcast in that area. Then spread the seed evenly. Ensure that the seed has adequate contact with the soil by rolling over the seeded area with an empty lawn roller. If you do not have access to a lawn roller, walking over the entire seeded area is often enough to compact the soil. Water the soil. 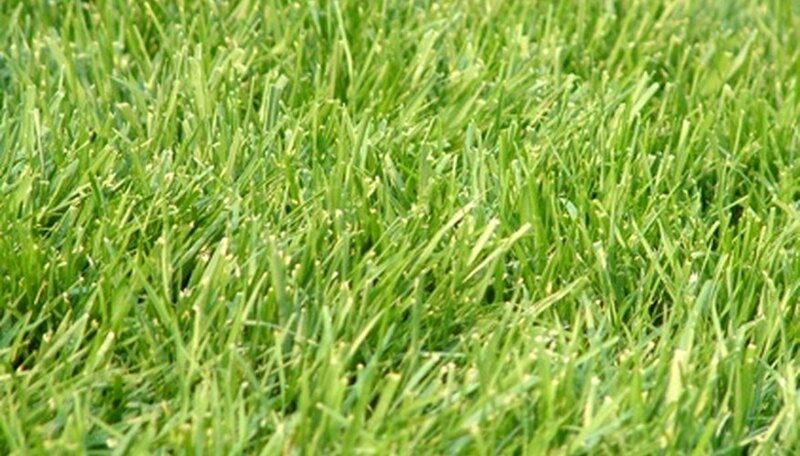 This is one of the most important aspects of applying grass seed to a lawn. Water the seeded area so that the top inch of the soil is moist. To ensure germination, it's important to maintain this level of moisture until the seed germinates (germination time will largely depend on the variety or grass that you have planted). Many lawn experts recommend setting up a sprinkler system to water the lawn 15 minutes per day to guarantee adequate moisture levels.